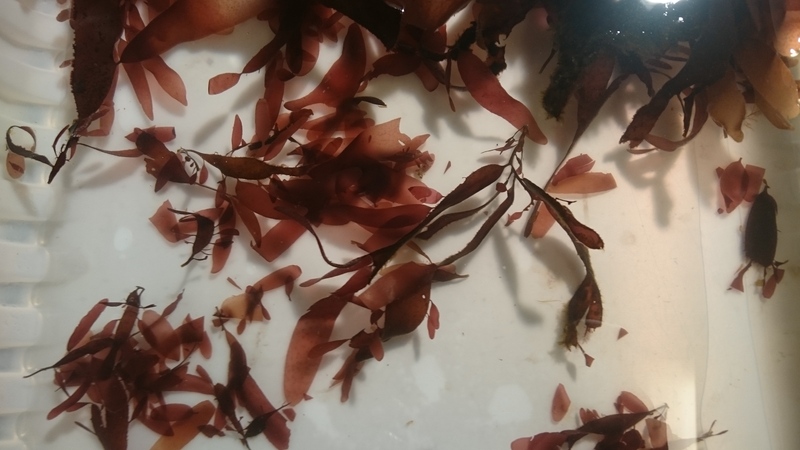 This year, the red alga “dulse” (Palmaria palmata) is in focus in WP2, which studies the effects of primary processes and stabilization methods on the quality of the seaweed biomass. Unlike the winged kelp (Alaria esculenta) and the sugar kelp (Saccharina latissima) which have been studied earlier in the project and that are cultivated, we had to get our dulse out in the wild. 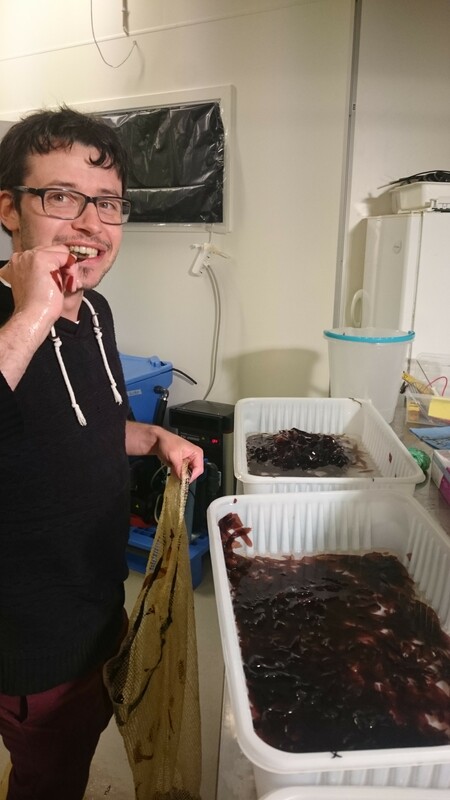 Pierrick Stévant, who is PhD student at Møreforsking Ålesund and a keen hobby snorkeler, found out that the easiest way to collect the needed biomass was underwater. 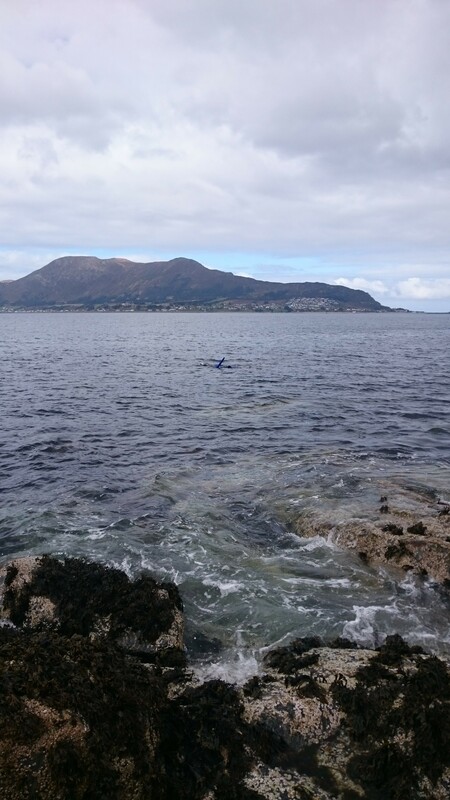 This gave him the opportunity to take a fresh dip during working hours at Hessa, on the outer edge of Ålesund (you can see the tip of his fin on the picture). 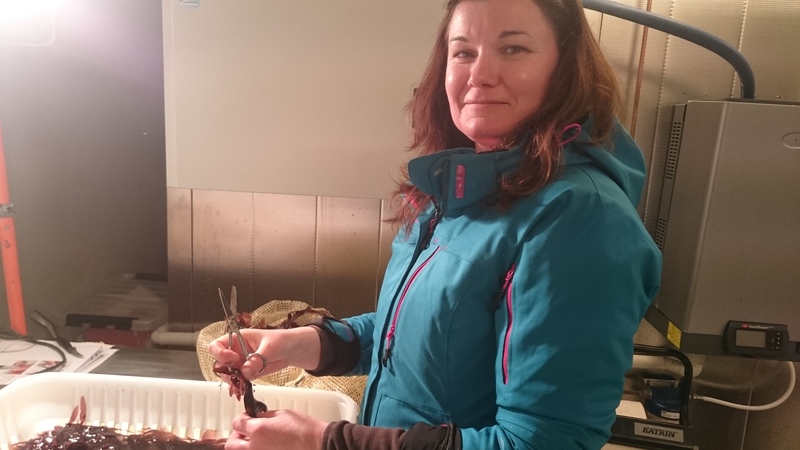 Together with Céline Rebours (project leader) and Annelise Chapman (earlier project leader, now leader of Tango Seaweed AS), they pulled out, then sorted 10 kg of biomass. The biomass was sent further to SINTEF Ocean in Trondheim, where the seaweed was dried following different treatments: air-dried at 40°C and 70°C, and freeze dried. The samples were sent back to Møreforsking Ålesund and the University in Nantes for analysis of the chemical content.